Here's a Black Bean Salad thats amazing and very simple to make! The Celery Juice Craze! Should You Drink It? 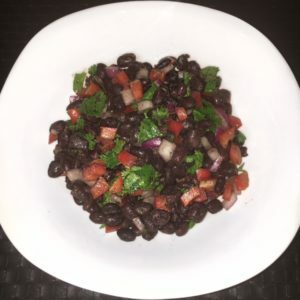 Black beans helps to lower cholesterol, aids in digestion, fights off cancer, promotes prenatal health, and are loaded with protein. I love adding them to dishes and this salad is nothing short of amazing! Enjoy friends! 4. Eat this alone or with dipping chips! Indulge! Its tasty! ** You can also now watch inspirational videos + raw food tutorials on my Youtube channel. The Youtube page link is at the top of the website! ** Our best selling beauty soaps are also back in stock! THANK YOU so much lovelies for your love and continued support! I’m working on some amazing NEW products for you guys and can’t wait to share soon. I adore each and every one of you! Stay tuned!